Hello! 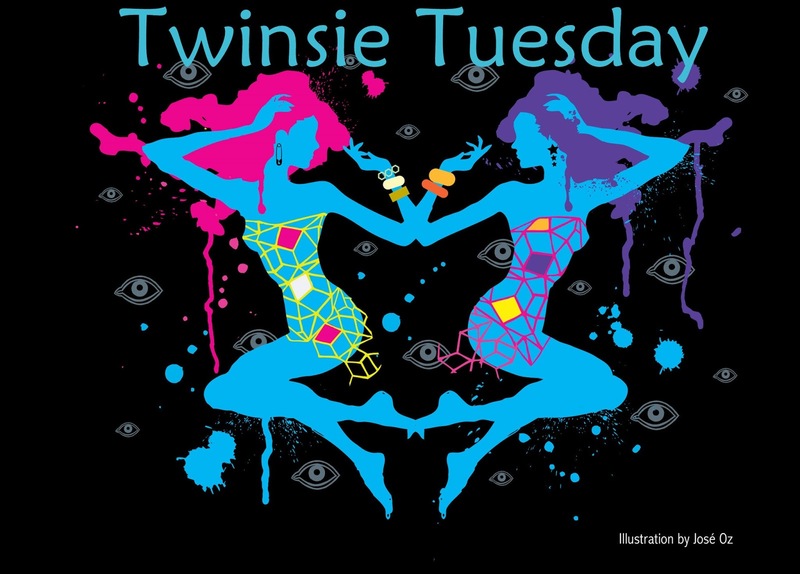 It's another edition of Twinsie Tuesday! This week's theme is a Circus theme. I kept it pretty simple for this one. I used a basic white and NOPI Rainbow in the Sky-lie, a basic red and Kleancolor Chunky Holo Scarlet. The multi color glitter represents the colorful clown outfits and the red is for the color of the Big Top. The rest is LA Girl 3d glitter in Brilliant Blue. The blue is for the night sky b/c typically the Circus is a night event. Enjoy! 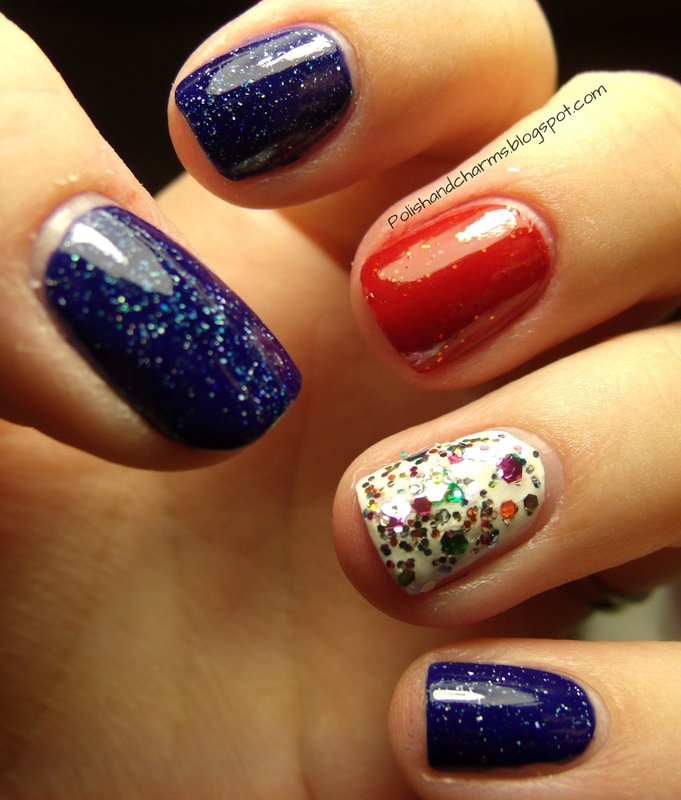 Don't forget to check out the other Circus Mani's for today! Fun skittle!! I love chunky holo scarlet! Yes! Love the polishes you used! i love all the glitters! Fun mani!! Love the accent nail! Rainbow in the Sky-lie is definitely a perfect circus polish! This is so pretty, and I love Rainbow in the Sky-lie - it's the perfect addition! I think it works well for a circus theme!